The Birdman is a digitally created and manufactured moveable sculpture. When the rod is pulled the beak closes and his arms drop to the sides. When the rod is pushed his beak opens and the arms move outward. He is manufactured or â&#x20AC;&#x2DC;3D printedâ&#x20AC;&#x2122; in one piece with no assembly required. The Birdman was manufactured using an EOS P380 in PA 2200 Polyamide. 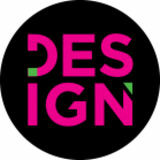 Welcome to DESIGN>, a free subscription information platform where creativity, innovation, knowledge, technology and business converge.